Apparently Border’s is not the only store I should not be allowed in without adult supervision. I shouldn’t be allowed in Whole Foods either apparently. I went in for barley and walked out with $51 worth of stuff including whole wheat pastry flour, whole wheat flour, and white flour from the bulk bins, a jar of Maranatha Dark Chocolate Peanut Butter, and assorted items needed to make some vegan cupcakes. 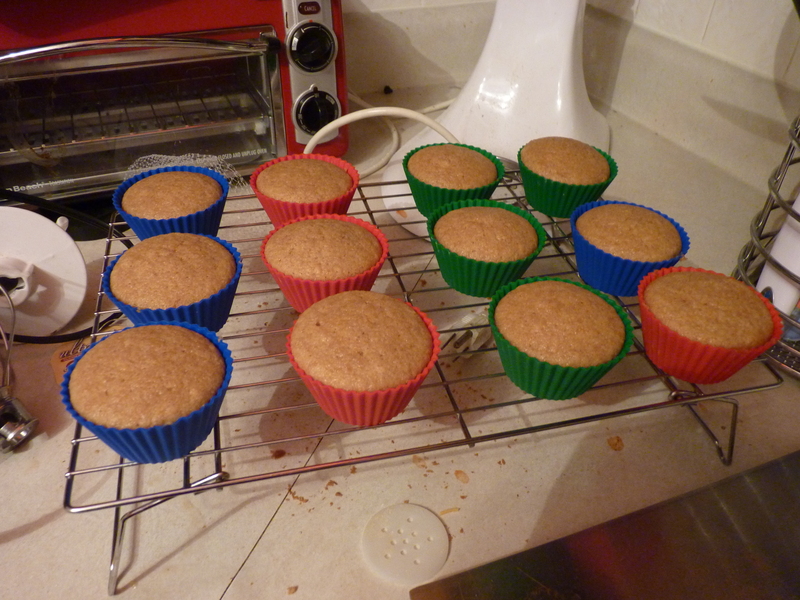 Making vegan cupcakes was exactly what I did when I got home. Cream together margarine and vegan cream cheese. Whip in powdered sugar 1/2 c at a time. 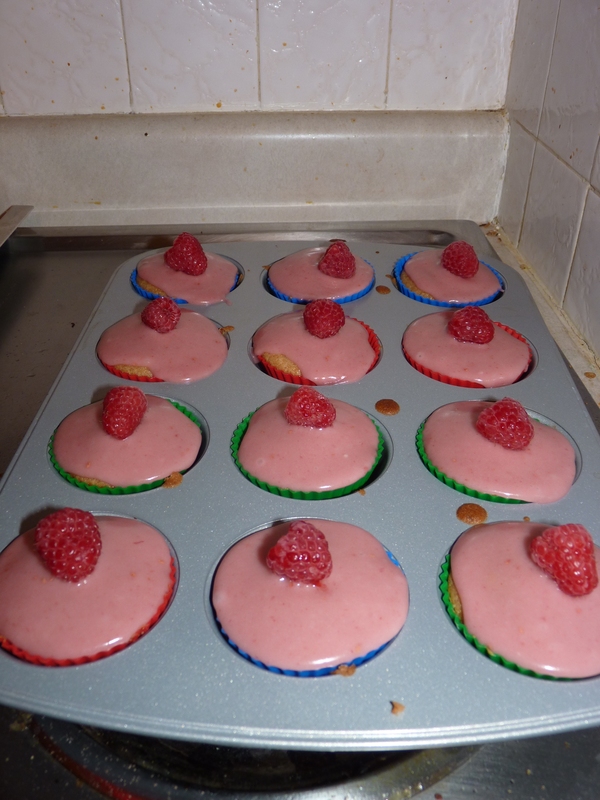 Once cupcakes have cooled, frost and top with a fresh raspberry garnish. I haven’t been in Whole Paycheck often. Honestly only once and we went in with the plan to not spend more than aroudn $30. It ended up being $31 and some change. Now Trader Joes = easily spend $50. I do most of my grocery shopping at TJ’s. Whole Foods I only really go to for specific items. I would probably go more often if there were one closer than Hinsdale. Honestly though, I got quite a bit for my $51 and it’s “staple” type items that I won’t need to buy again for a while. and maybe something else I’m forgetting…. I like their tea selection. We get Stash and Tazo (as well as tons of other brands) and WF had a nice selection of both of those brands. I love Whole Foods! I have to go with a purpose though. I can’t do all of my grocery shopping there. Yeah, I really only go to Whole Foods for specific/ specialty items. It helps that the nearest Whole Foods is about 20 – 30 minutes away. Oh my god, those look good. Or maybe I’m just thirsty and raspberry lemonade sounds really good. 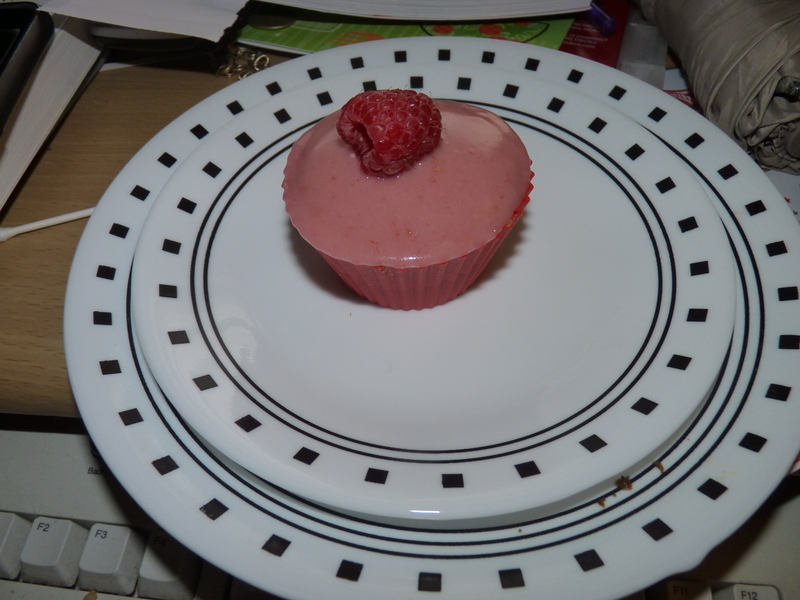 I think you need to send a cupcake this way so that I can make a determination of which one it is. I absolutely have to comment that these look and sound sooooo good! Wow!